With the back-to-school season in full swing, there’s no doubt that you’re starting to brainstorm and plan fundraising ideas for the school year. In some cases, doing a rinse and repeat of last year’s fundraising initiatives will work fine. But if you want to try something new and increase family participation while boosting funds, consider the logistics of your fundraisers. When you’re planning, consider the frequency of your fundraisers and whether you want to stick to one-off fundraisers or a year-round campaign. One-off fundraisers: Tend to be big pushes. Either large events like an auction or golf outing, or product sales that only happen for a few weeks out of the year. 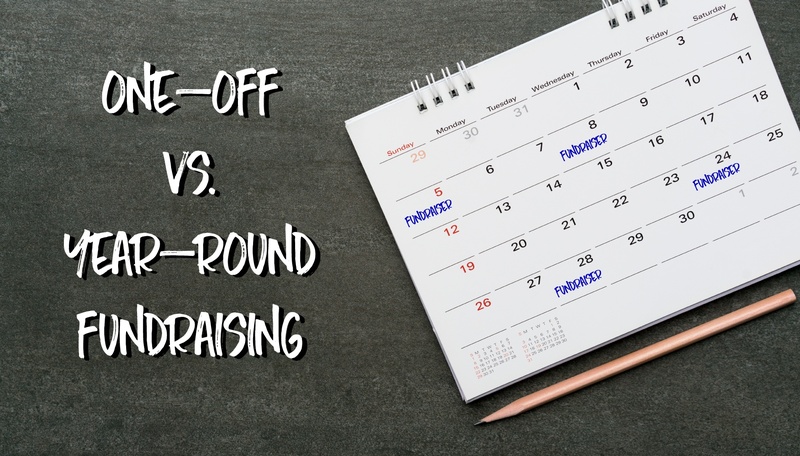 It’s common for schools to run multiple one-off fundraisers throughout the year. Year-round fundraisers: Tend to be more modest earning opportunities that grow over time. They’re also more lifestyle-oriented; families aren’t asked to sell products or spend extra time. Popular examples are Box Tops for Education, grocery rewards programs, and scrip fundraising. You’ve seen the differences at a glance—let’s dive into things to keep in mind when deciding between the two. Most one-off fundraisers require a lot of time. If you’re holding an event, you need parents to be involved in planning, executing, and selling tickets. Of course, you’d like for families to take their time to attend the event as well, but sometimes that’s not a reality. If you’re selling products for a one-off fundraiser, parents have to become salespeople and devote time to asking friends, family, neighbors, and coworkers to buy products. Instead of selling, some parents end up sending in a check or buying the products themselves to meet a quota. Year-round fundraisers tend to be more passive, encouraging families to add something to their everyday life instead of stopping everything to make room for a fundraiser. Most schools collect Box Tops for Education since families are already buying products at the store. Some grocery stores even have loyalty programs where you can register your school, so a percentage of your shopping goes to the school. And then there’s scrip fundraising where you use gift cards on your everyday spending and earn money for your school. We touched on this a little, but one-off fundraisers typically require a crew of volunteers to work through the various moving parts. A one-off product fundraiser might be headed up by one person; then they need help spreading the word to families and receiving and distributing products. There is variation from fundraiser to fundraiser, so make sure you do your research. For example, events like auctions, galas, and outings require a ton of volunteers, but a restaurant night event only needs a few. Year-round fundraisers tend to require fewer volunteers for success. One exception is if you’re running a scrip fundraiser and you’re carrying an inventory, you might want some help manning your scrip store and distributing orders. But scrip also has so many digital products you could run the program with only a coordinator. Whatever fundraising option you choose, let families decide which ones they want to volunteer for. That way, they will want to participate and won’t burn out, and you won’t be scrambling for help. Also, ask them to sign up now so they can add it to their schedules. Like we’ve touched on, one-off fundraisers will require more volunteer power and parents could get burned out if they’re asked to sell products continually. And there’s also a good deal of pressure with a one-off fundraiser to bring in a hefty result, which can be a challenge considering that most product fundraisers only give you 40% of the profit. One way to alleviate this is to start a one-off product fundraiser that has year-round selling potential. While a one-off fundraiser selling cookies might work, it would be better to do a year-round fundraiser selling things people could and would use every day, like a coffee fundraiser or laundry detergent fundraiser. 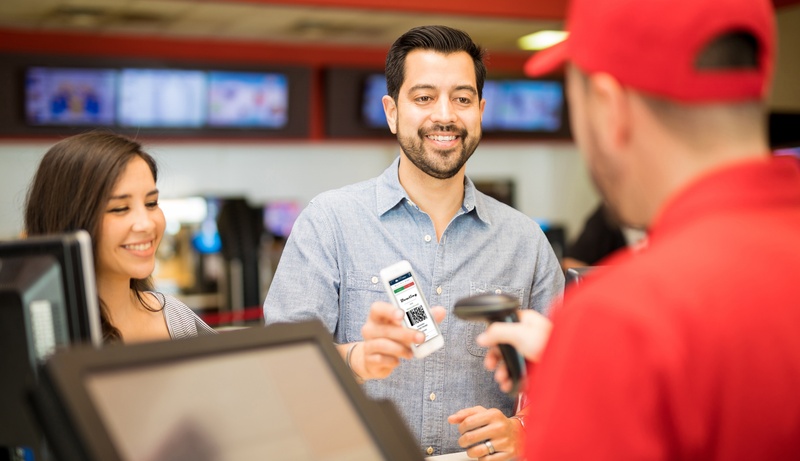 During the first round, you can lay the groundwork to get a customer base, and then you can encourage them to repeat order. Plus families could continue to buy the products to help your school fundraise all year long. Year-round fundraisers will be a slow and steady way to raise money. While they don’t bring in thousands in a week, you are saving your time by raising money every single day instead of cramming it into a couple of weeks. Just paying for gas and groceries with scrip can bring in $264 earned in a year. Hopefully, you’re feeling inspired and ready to plan your school fundraisers. Don’t be afraid to get creative—you could even run a one-off and a year-round fundraiser at the same time. No matter how you choose to run your fundraiser, it’s important to be clear and consistent in your communications to maximize family participation and increase your funds raised. Want to learn more about scrip fundraising? Download our Info Kit. How long do you run your fundraisers? Tell us in a comment below.